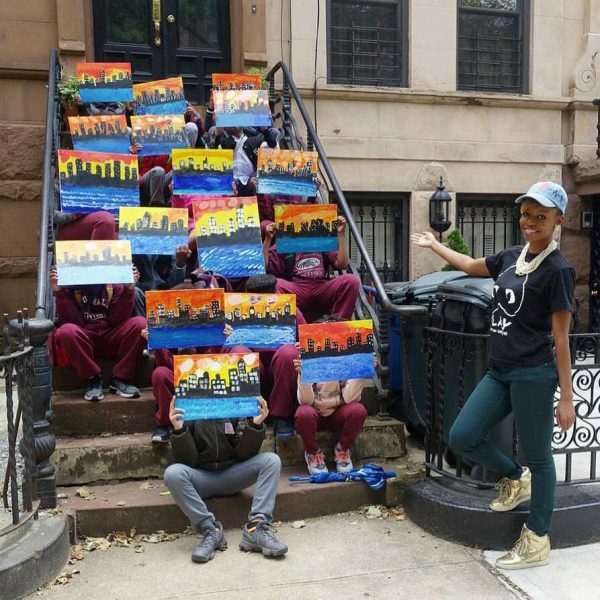 Paint, brushes, and a palette are among the many tools that Tiffany B. Chanel uses to influence her New York community and beyond, whether teaching young children art or inspiring people with her creativity. It was sneaker art that first got her noticed, but now it’s her colorful portraits that are wowing her fans. Sneakers were in her life from a young age when Chanel’s father would bring her home some Jordan sneakers. Her interest in sneaker art started about five years ago with her desire for a pair of gold Converse sneakers, which she couldn’t find. Chanel researched gold paint online with hopes of painting her sneakers. 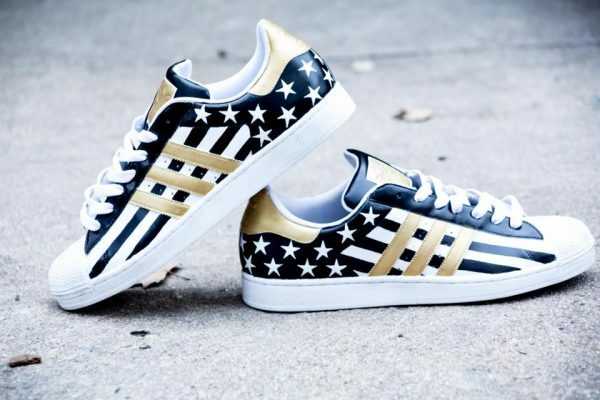 “I finally found the paint that worked and I painted my soles black, the top of the sneakers black, and the rest of it gold,” she told The Epoch Times. She wore the sneakers every day, and many people approached her with compliments. Born and raised in Brooklyn, she appreciates what the area has to offer. Growing up, Chanel liked walking around the neighborhood, and attending block parties with her friends. She adored visiting galleries and greeting her neighbors, who took care of each other. “You had the older people looking out for the kids and made sure that everyone stayed on the block together,” she said. Chanel continued to impress the world with her sneaker art, which she shared on Instagram. As her popularity grew, more people wanted her to design their shoes. Clients even started asking to have shoes shipped to them. Chanel was thrilled to showcase her talent and has designed more than 150 pairs. Chanel was discovered by Iman Shumpert, the NBA star. He became a fan of her custom sneaker painting and commissioned her to create some for fashion week, which made her work go viral. She started painting portraits in 2015 after a follower on Instagram asked her to paint a portrait of actress Tamera Mowry’s young son. Mowry reposted it to Instagram, and that launched her portrait career. 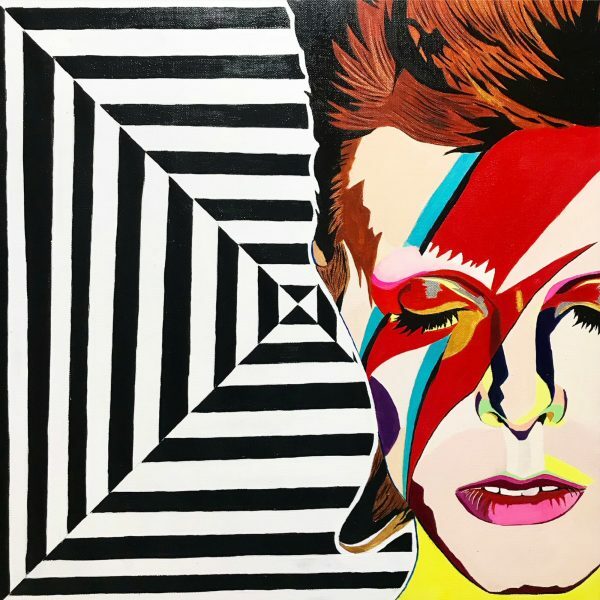 Since then she has painted many portraits, including of the late music artists David Bowie and Prince. Not only did she grab the attention of local nonprofits, churches, and schools, but celebrities took a liking to her art. Actress Aisha Hinds, DJ D-Nice, and film and TV director Ava DuVernay have commissioned work from her. She loves drawing on canvas and wants to impact many people around the world. One of her most memorable experiences was when she did her first paint party for 300 people in late 2017. “The experience was phenomenal,” she said. Chanel’s talent in art led her to teach students in Brownsville, starting in 2016 with a goal of motivating others to be creative through art. Students are encouraged to engage and explore their ideas while participating in art exercises, such as drawing. The creativity the kids show in turn sparks her imagination. “Teaching allows me to help people get past any boundaries they have placed in front of themselves. It also helps me to inspire people by letting them know that I am self-taught and it just took me believing in my thoughts and not being afraid to try,” she said. Created using acrylic and spray paints, her work is colorful and in a pop art style, emphasizing the subtle shades in skin tones and lighting. “[Art] leaves [viewers] looking at themselves in a way that they have never looked at a person before and it also helps them to connect and be drawn to a person that they do not know,” she said. Chanel did a painting depicting the late Aretha Franklin, the legendary American singer-songwriter. After working on it every day, she was excited to see the painting come to life. 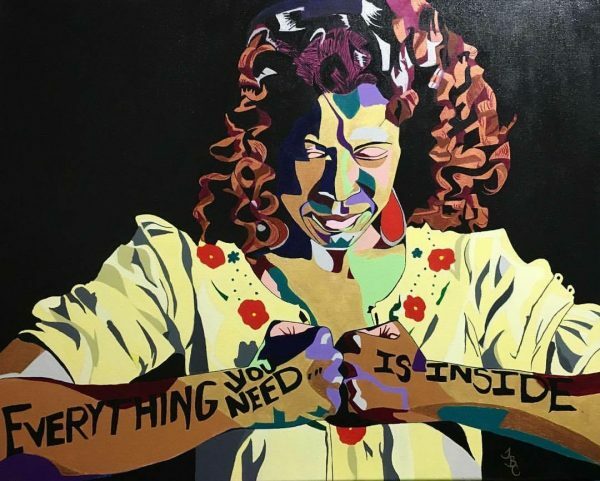 A company called Restoration Art decided to buy her painting, which will now be featured on flyers, posters, and businesses for a Franklin tribute to support local black businesses. When she started to realize her clients’ sneakers were wearing out, Chanel turned her business from painting sneakers to creating artworks with embedded footwear. “I didn’t want to create something that was beautiful for a moment,” she said. “I needed something that can live a little longer. So I started creating 3D art out of them. I wanted something that would live past me,” she said. Chanel is looking forward to presenting more of her work in solo shows next year and working with more people. Her mother, Nancy Baldwin, is delighted to see what’s in store for her daughter next.